Nick is our Operations Director. Based in the office, he plans and resources the building side of the business. With site experience and a Design & Construction Management BSc (1st class), Nick combines practical and academic knowledge when managing a building project. Being in charge of the technical design, he works closely with our clients, consultants and contractors to come up with the most efficient solution for a project. An advocate for new technologies, Nick is keen to integrate BIM and modern methods of construction into the build process and is working towards MCIOB status. Linda directs operations back in the office. Having worked for the company for 11 years, she organises supplies and deliveries to site as well as the multitude of regulations that we need to process in the building industry. Linda is also responsible for customer care making sure that the “moving in” experience is a painless as possible. Krystian directs the team that undertakes the internal fit out of our projects including kitchen and bathroom designs. Based on 15 years experience, he has a tremendous eye for detail and ensures our properties are handed over with a first class finish. John is our newest recruit, having started in September 2017. He provides support in co-ordinating our planning applications, sourcing new land and undertaking development appraisals. With a keen interest in planning politics, John is our local planning policy adviser and is currently studying the MSc Spatial Planning and Development at the University of Reading. 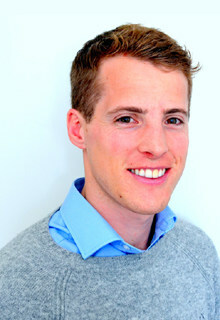 He also leads our sales strategy, liaising with estate agents and looking after our completion handover process. If you buy one of our houses, you will get to meet John. Joanna has been with the business for 4 years and runs the financial side of things. Managing all of our accounts, she pays suppliers, sub-contractors and salaries. She has a keen interest in marketing, looking after our website and social media, as well as organising staff parties. Some call him the boss, but only when he’s not watching cricket. Peter has over 35 years of experience in property development and planning. He is a University of Reading graduate and a member of the Royal Institution of Chartered Surveyors. He oils the wheels to make sure the machine runs smoothly, sources the new sites and handles all our planning applications. Twain is approaching his 20 year anniversary with the company and has 40 years experience in construction. He directs operations on-site and ensures our projects are built safely and to a high standard. He also liaises with neighbours to minimise the impact of building operations on other people’s lives. At Elegant Homes we believe in employing a direct labour force. This allows us to maintain the same quality and attention to detail through all of our projects. This is some of our crew – the others were too busy building on site to attend the photo shoot! This is Bill the Plumber. He is one of our loyal group of sub-contractors who follow us from project to project. This encourages co-operation and a ‘can do’ attitude. The quality and experience of our sub-contractors is a big part of our success story.